In this guide we will build a cute little robot body all employing the principles of hopping instead of rolling. We'll even do it with 3 different brains! BBC micro:bit with code in MakeCode that can also be controlled programmatically. In each case, the hardware will be the same. The controller board, matching CRICKIT, and code will vary. Part of the reason is to show how all the CRICKIT variations do the same job and the choice is based on the controller board and language you want to use. 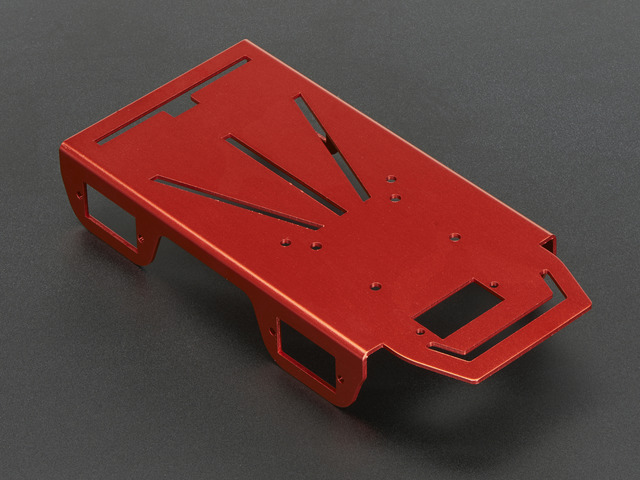 This Anodized Aluminum Metal Chasis for a Mini Robot Rover does exactly what it says. You can build a very sturdy (and quite handsome!) little robot rover with this metal frame. You don't need it but it let's you add a little more storage to your bot. 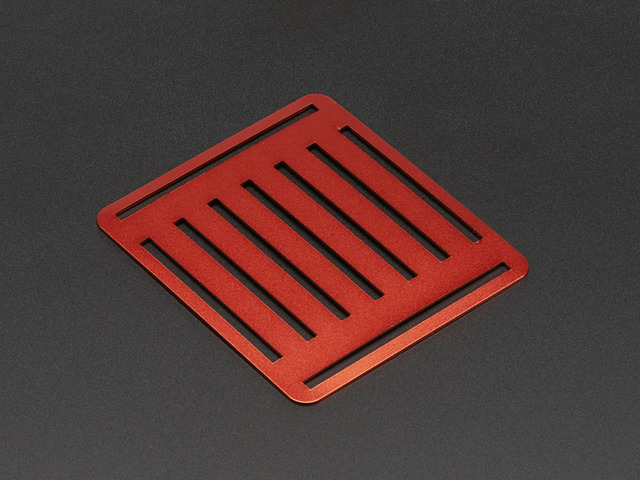 Perfect for housing your robot's electronics and batteries underneath. This plate comes with two standoffs and the approriate screws. 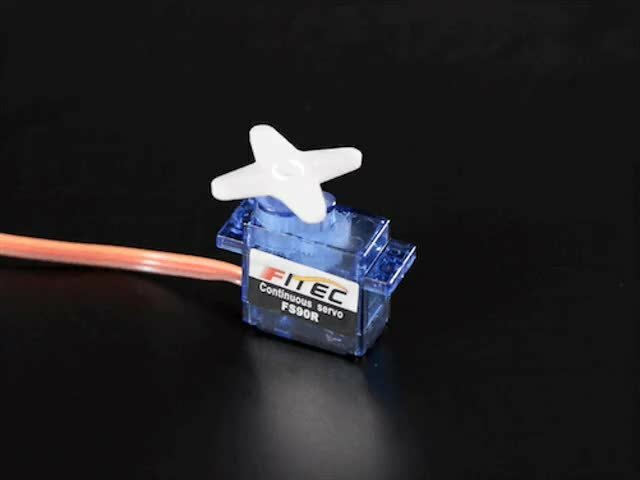 This little micro servo rotates 360 degrees fully forward or backwards, instead of moving to a single position. You can use any servo code, hardware or library to control these servos. Good for making simple moving robots. Comes with five horns and attachment screw. At the core is a 'pager motor' - a small thin DC motor that runs on about 3VDC. That motor is then geared down inside the red-plastic body of the motor. 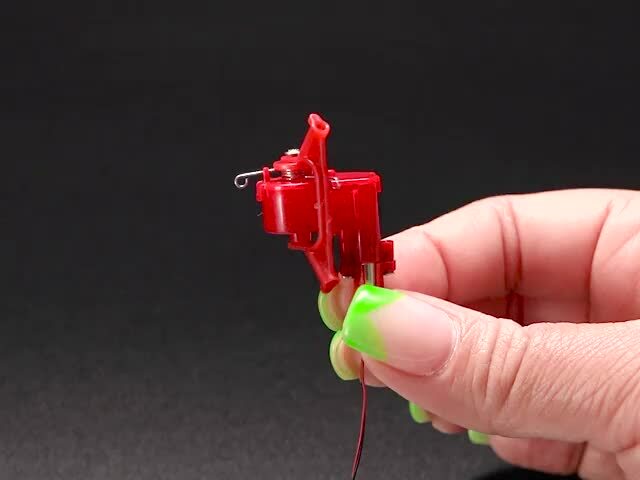 Finally, the output axle is connected to a plastic triangle that has a bent-wire return spring. Pick one or more controller board and CRICKIT combinations. That's our Creative Robotics & Interactive Construction Kit. 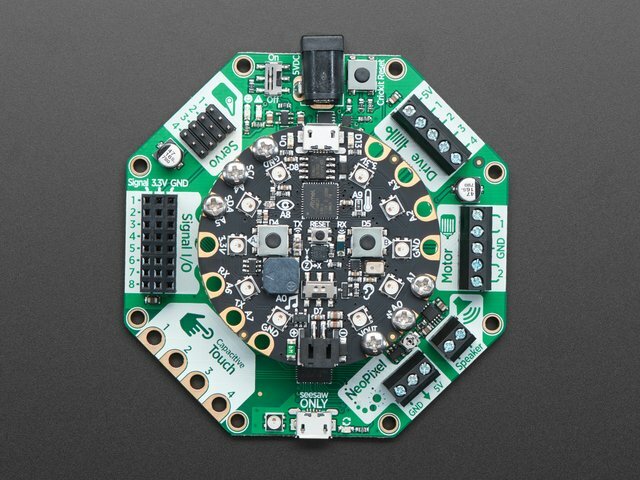 It's an add-on to our popular Circuit Playground Express that lets you #MakeRobotFriend using CircuitPython, MakeCode (coming soon), or Arduino. 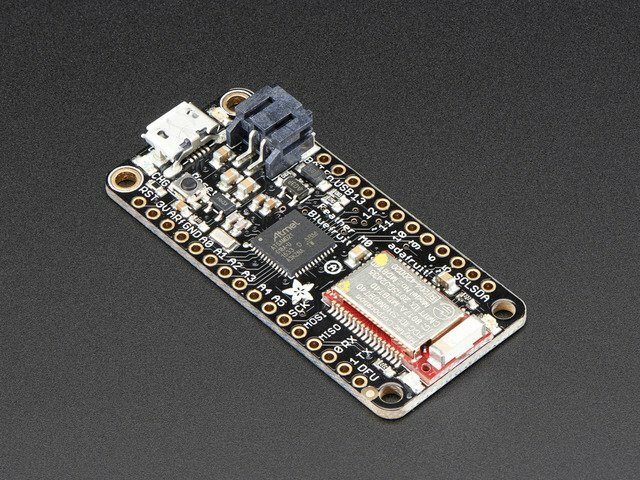 This is the Adafruit Feather M0 Bluefruit LE - our take on an 'all-in-one' Arduino-compatible + Bluetooth Low Energy with built in USB and battery charging. It's an Adafruit Feather M0 with a BTLE module, ready to rock! Plug in any Feather mainboard you want into the center, and you're good to go! The Crickit is powered by seesaw, our I2C-to-whatever bridge firmware. So you only need to use two I2C data pins to control the huge number of inputs and outputs on the Crickit. All those timers, PWMs, sensors are offloaded to the co-processor. Designed specifically for kids and beginners, the micro:bit is a pocket-sized computer that you can code, customize and control to bring your digital ideas, games and apps to life. 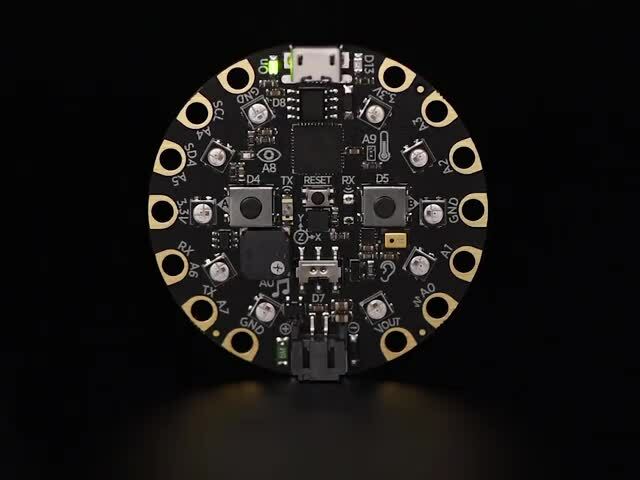 It’s a small, code-able device that is a non-intimidating introduction to programming and making – switch on, program it to do something fun – wear it, customize it, develop new ideas. 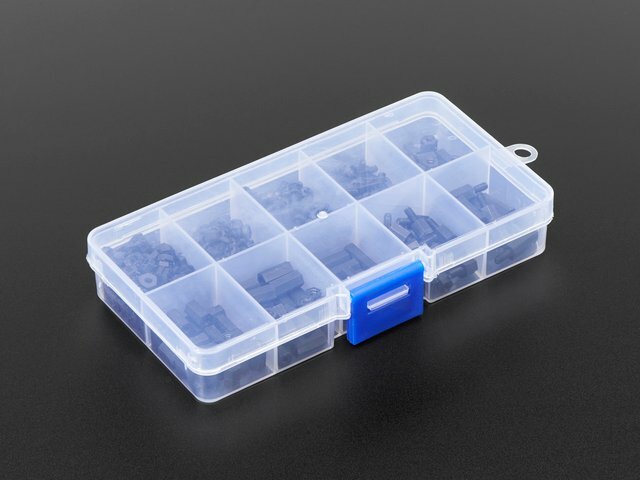 Plug your :bit into the 40 pin edge connector and start controlling motors, servos, solenoids. You also get signal pins, capacitive touch sensors, a NeoPixel driver and amplified speaker output. It complements & extends micro:bit so you can still use all the goodies on the :bit, but now you have a robotics playground as well. Use this at your bench when building and programming to save the batteries. A holder for three (3) AA batteries! It's got an 8" long power cable with a 2.1mm DC jack at the end. An alternative to the large LiPo. Need a massive battery for your project? This lithium ion pack is made of 3 balanced 2200mAh cells for a total of 6600mA capacity! This is my go-to battery back for untethered CRICKIT projects, along with the boost board listed below. PowerBoost 1000C is the perfect power supply for your portable project! With a built-in load-sharing battery charger circuit, you'll be able to keep your power-hungry project running even while recharging the battery! This little DC/DC boost converter module can be powered by any 3.7V LiIon/LiPoly battery, and convert the battery output to 5.2V DC for running your 5V projects. Used to power the controller board. You'll need this or something comparable to charge the LiPo unless you use Feather which has a changer buildin. This guide was first published on Sep 25, 2018. It was last updated on Sep 25, 2018. This page (Overview) was last updated on Apr 25, 2019.